Do you feel like tantrums and meltdowns are taking over your life? No matter what you try, you feel like they just keep happening. Are you ready for a calmer home and a way to reconnect with your child? This guide is perfect for you. 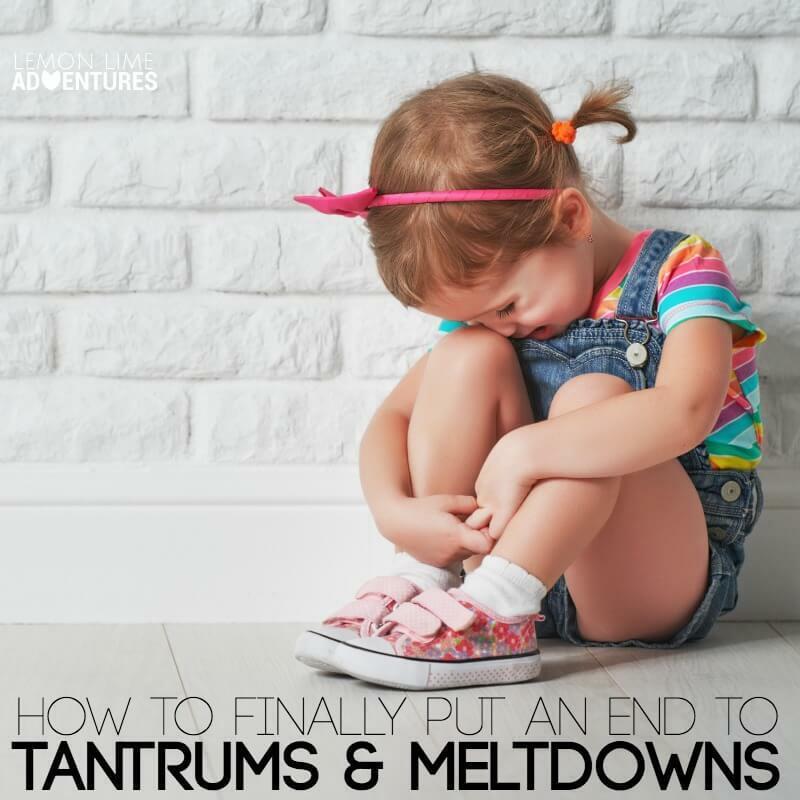 This Calming Tantrums and Meltdowns Blueprint has everything you need to know for calming tantrums and meltdowns. incredibly important because they laid the groundwork for what we’re gonna discuss today. As I mentioned before, it is my goal in this series to help you recognize what’s going on with your child. 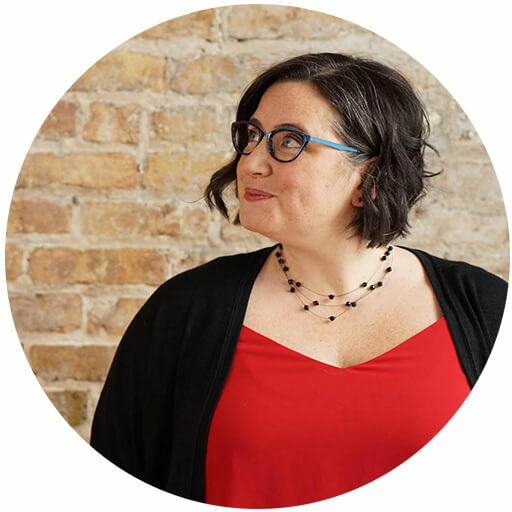 dig deeper to get to the underlying problem fear or anxiety and it is my goal to provide you with the tools you need to calm the chaos, reconnect with your child, and ultimately build a happier home. As an educator I have dealt with many tantrums and meltdowns in the last fifteen years. I have worked with parents and children alike. even my own children have had their fair share of tantrums and meltdowns from a two year old just learning to communicate to a ten year old with anxiety and sensory processing disorder. In the last video we talked in depth about what to do, what to say, and what to avoid in the middle of tantrums and meltdowns. We talked about what to do if your child completely refuses any of your help and we even talked about what to do you when your child is having a tantrum or meltdown in public. However what we really want is to prevent these tantrums and meltdowns before they ever happen. In our final video I’m going to share the blueprint that I use for calming the chaos during tantrums and meltdowns. 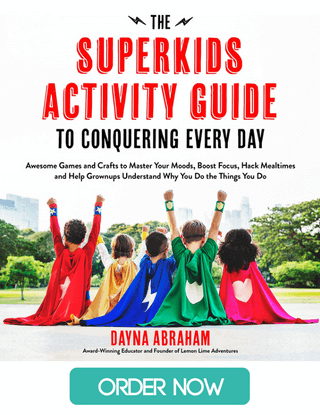 If you have a child who tantrums or meltdowns frequently, you are going to want to see what I have put together for you. 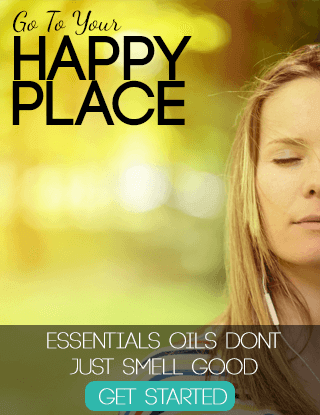 It is a complete eye opener and will help bring the calm back into your home. There are 5 key pieces to calming tantrums and meltdowns that are vital for any family. These five parts are part of what I call the “Calm the Chaos” blueprint. In the video above, I go over each piece in depth, but I wanted to recap here to make it easier for you as well. 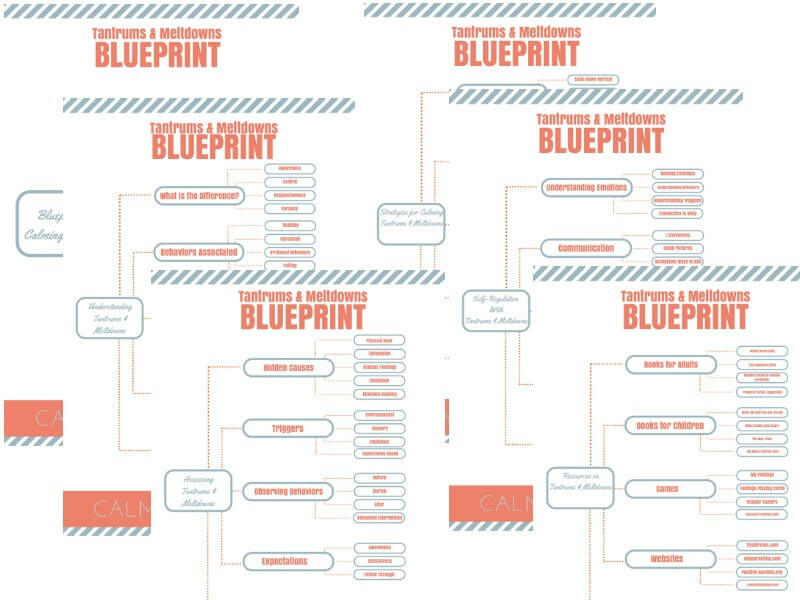 In addition, I have created a free download of the the Calm the Chaos During Tantrums and Meltdowns Blueprint that you can print out and use today. What are the 5 Keys to Calming Tantrums and Meltdowns? Here is the calm the chaos blueprint for calming meltdowns and tantrums. 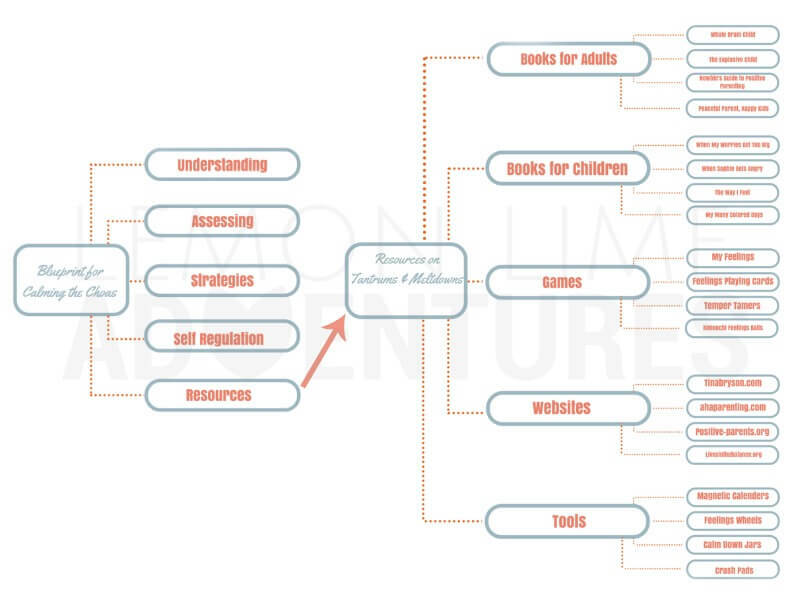 As you can see, it is so much more than just tools, strategies and tricks. I’m not going to go into all of this right now. But I want you to see how all the pieces fit together. I know its too small to see, as we go through each section you’ll be able to really see the details. 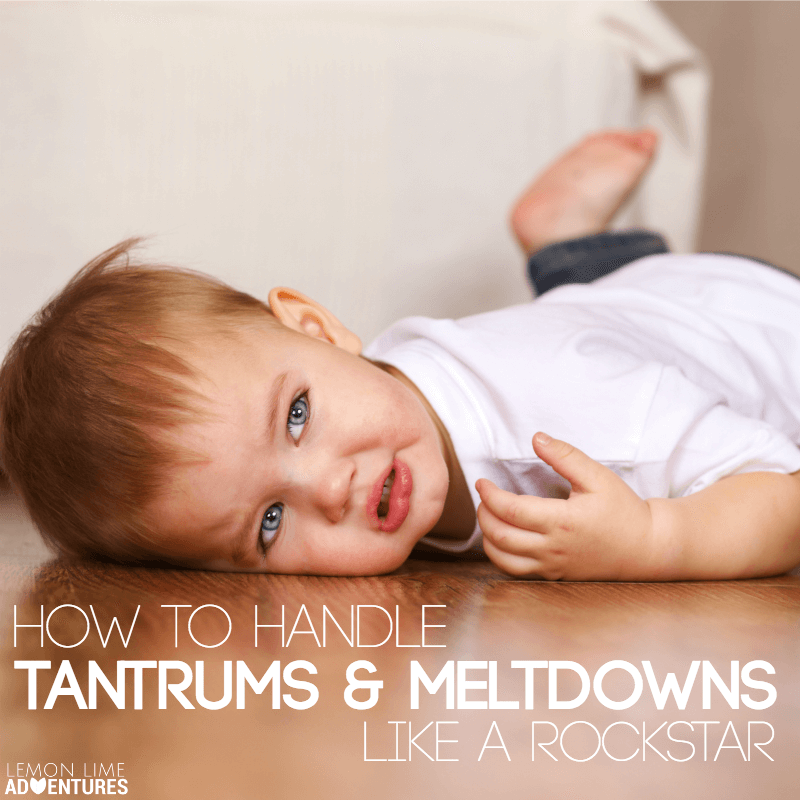 The first step in calming the chaos is understanding tantrums and meltdowns. 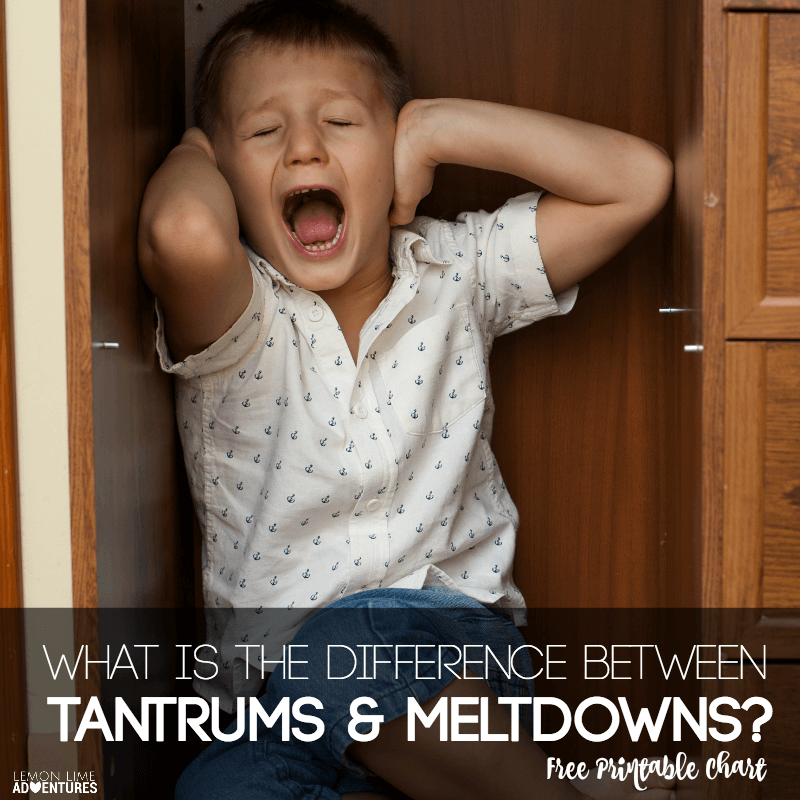 From the difference between tantrums and meltdowns to the behaviors associated with them, learning the indicators and facts about both can be incredibly important in calming both tantrums and meltdowns. What is happening in the brain during tantrums and meltdowns? The brain is divided into two parts. 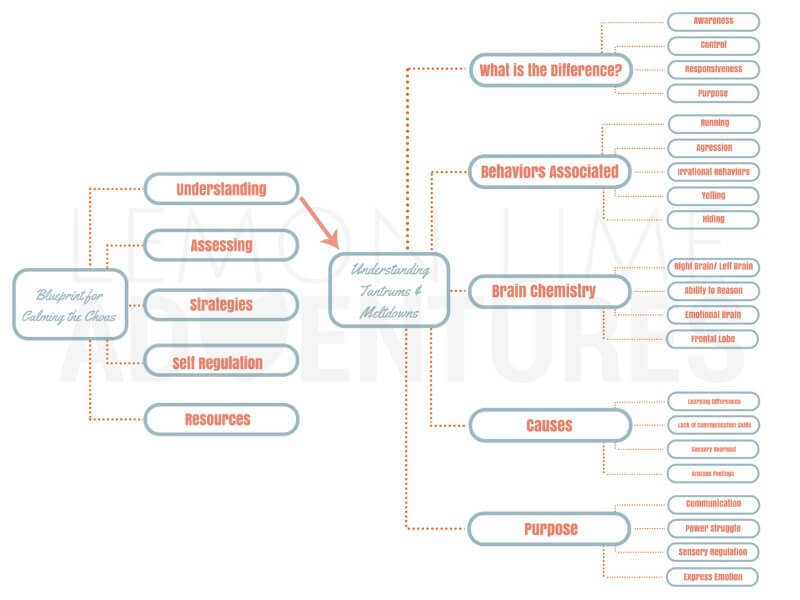 The left brain is often referred to as the “thinking brain” while the right brain is considered our “emotional brain”. So while the left “thinks”… the right “feels.” When everything is calm and organized, the two sides normally work together but all that changes before and during a tantrum or meltdown. Your brain goes into crisis mode, and your right brain takes over, causing you lose the ability to think and reason. The frontal lobe is the part of the brain that is vital in handling stressful situations. This is where the brain processes working memory, executive functioning skills, impulse control, and even time management. It is also vital in helping control emotions, communication, and problem solving. During the middle of a meltdown or tantrum, the frontal lobe becomes disconnected with the lower portion of the brain “the amygdala”, which controls basic functions and “gut” reactions. This is why children in the middle of a tantrum or meltdown resort to fight, flight or freeze. They lose the ability to reason and think, and become emotionally reactive. What causes a tantrum or meltdown? Digging deeper and getting to the root of the issue is extremely important when you are trying to calm the chaos and stop the tantrums before they begin. Causes can include anything from frustration from learning differences, to a lack of communication skills. Two hidden causes that so often go overlooked are sensory overload and anxious feelings. Getting to the bottom of your child’s needs will help you understand why your child is tantruming or melting down and allow you to be better prepared in the moment. What is the purpose of tantrums and meltdowns? The final piece to understanding tantrums and meltdowns is to understand the purpose from a child’s perspective. Is your child trying to communicate to you they having a tough time? Is it an attempted power struggle? Are they on sensory overload and looking for a way to regulate their emotions and senses? Have they simply hit their breaking point? Are they unclear of the expectations and are testing boundaries? Hidden Causes | Often times we as parents forget that our children are acting out as a way to communicate that they need us. We have to be detectives to figure out exactly what the hidden causes might be. Identify triggers | This requires close observation of behaviors that happen before, during and after a tantrum or meltdown. Documenting these behaviors is key. What interventions did you try and how did your child react? Identifying triggers can be difficult but as you learn more and more about each of the different parts of the brain and the way that your child learns and communicates you will start to identify exactly what triggers set off your child. Set clear expectations | As a parent, it is important for us to be clear, concise and consistent while giving children respect when setting expectations with our children. This will reduce the amount of tantrums that result due to power struggles and confusion about rules. Create Routines | In such a busy world that we often overlook the simple routines like getting dressed or getting ready to go to school. When do the most tantrums occur in your family? Is it during the hour before school, around bedtime, or around a transition? If so, setting simple routines in place and providing clear expectations of them ahead of time will help your children maneuver through those difficult times of the day without melting down. Set Up the Environment Before the Tantrum | Setting up your environment and your tools ahead of time is crucial in minimizing tantrums and meltdowns. For example, having a place in your house where your child can calm when they are upset is a perfect strategy to use as long as you have practiced using it before it is needed. Find a comfortable place, fill it full of pillows, their favorite books, stuffed animals and some simple calming tools. Support Your Child’s Needs | Do they have a routine bedtime or nap? 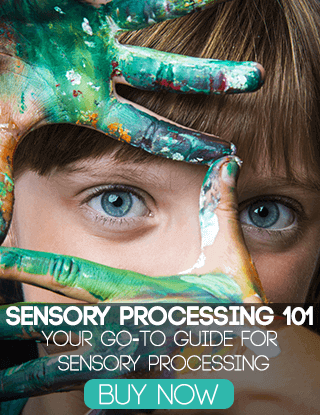 Are there multiple ways for your child to get enough movement or sensory input? What can you do ahead of time to provide your child with the support they need so they are less likely to resort to a tantrum to express their needs? Create Visual Charts | Visual charts are used to help your child remember the routines, expectations and even calming strategies they can use. This can be as simple as a chart that states the steps to getting ready in the morning, or a chart that reminds them of breathing strategies you have learned together. Keep Your Calm | We talked in depth in the last video about how important it is to remain calm and respond instead of react to your child’s behaviors. Remember, they are having a hard time not giving you a hard time. As you learn how to monitor their behavior and triggers you will get better at learning the best strategies to use such as ignoring, redirecting, or intervening. Hugs and Deep Breathing | Ultimately, you know your child best but some strategies that can be extremely helpful during or after a tantrum or meltdown can include using the body to calm down. For example, your child might respond to tight squeezes or hugs while another child responds better to breathing techniques. Knowing a variety of techniques is essential, so that you can have a toolbox that is full when the time comes to use a strategy to help your child. What to Say | Having an arsenal of phases to use in the moment is vital in bringing calm back into your home and reducing the tantrums and meltdowns. I would like to add, that the blueprint also shows a few extra phrases you can try once your child has reached a state of calm. Calm Down Kits | Having a calm down kit is a wonderful idea for sticky situations with your child. There are a myriad of items you can put in your calm down kit. *Some items listed on the blueprint. Self regulation is one of the most important pieces to calm the chaos. Because, let’s face it… our ultimate goal is for our children to be successful, mindful individuals able to calm their emotions on their own. Emotional Intelligence | One of the first steps in teaching your child to self regulate is to teach them about emotions and how to name their own emotions. There are many parts to teaching children to recognize their own emotions, but being able to name them is a great starting point in allowing your child to take ownership over their behaviors during each emotion. Communication Skills | Once your child understands their key emotions and what happens in their body when they feel angry, confused or anxious; they are ready to learn acceptable ways to communicate their needs and wants with you. Giving your child tools and strategies to communicate will allow them to ask for help with words instead of outbursts. 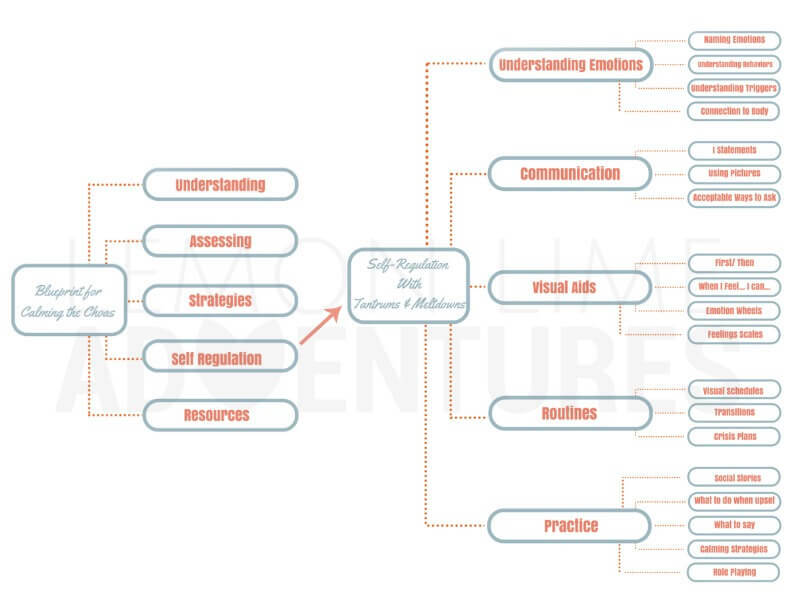 Using Visuals | One simple way to help any age child communicate more effectively is through visual aids. These can be as simple as pictures with emotions and acceptable or unacceptable behaviors on a chart or something more in depth such as a visual schedule to help them with transitions and daily routines. Practice, Practice, Practice | Finally, practice is the key to long term success. There are a variety of ways to engage your child in practicing their strategies and using the tools in their tool box. You can use things such as role play, social stories, and even puppet theater to help your child truly understand how to regulate their own emotions and communicate effectively instead of having a tantrum. The key to practicing these strategies is to practice when everyone is calm and happy. During the middle of tantrum or meltdown is not the time to introduce new strategies or techniques. There are a ton of resources for calming tantrums and meltdowns. 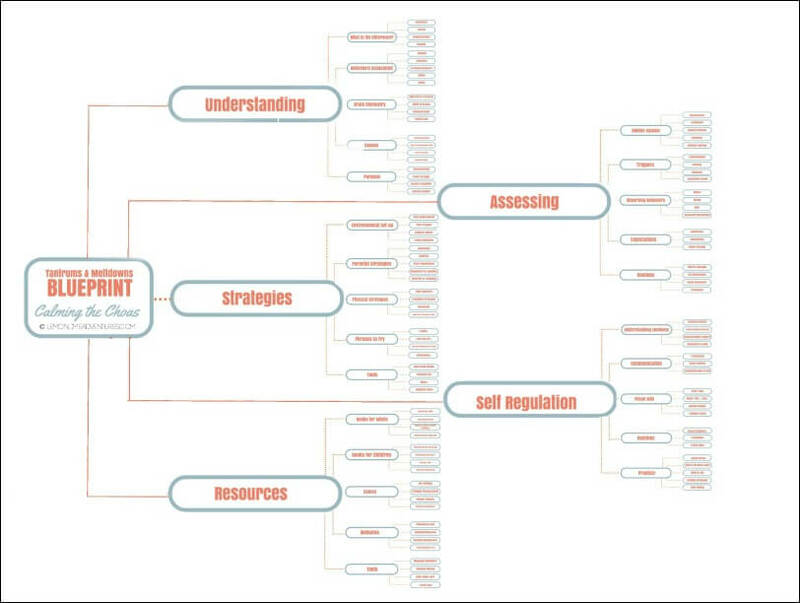 We cover all these different tools that we use in our calm the chaos course and some of them in the blueprint below. You will find what we use for books for parents, books for kids, websites to check out, games you can play, tools you need in your home. This post comes with a free printable guide to help with Blueprint for Calming Tantrums and Meltdowns! I have made a simple printable for you that covers everything you need to know about tantrums and meltdowns. Now, I know I covered a lot of ground and I know i moved really quickly through a lot of it. But remember you don’t need to know all of these, or do all of this. Even my most successfully parents, the ones that have worked on understanding tantrums and meltdowns for many years. They pick and choose what works best for them. It’s all about the baby steps. Its getting something into action. Its awesome that you are watching the videos, but its taking the first steps to calming the chaos that is important. It’s about converting this new knowledge into an action plan. I know it seems impossible but you can have a calmer home. You can minimize tantrums and meltdowns and reconnect with your child. I have seen it happen. I have lived it. Together we can calm the chaos. There have been over 10k people that have watched the videos and the comments and emails from you have been empowering and overwhelming. I love that I have been able to take my knowledge and the strategies that have worked for me and many families and share them with you. 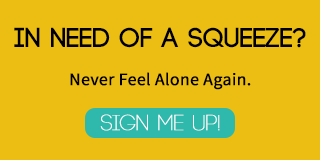 So if you are ready to join me in calming the chaos in your home. I am going to be opening my next Calm the Chaos Course in a few days and I would love for you to join me on this journey. Now the way this works, its like a college class, I am going to open up registration, we enroll a new class, we shut down registration and then we start the class. My next video is going to be all about calming the chaos and I will have lots and lots of information on the upcoming Calm the Chaos Class and how you can get started. So look for that video very very soon. But in the meantime, I want to hear about your journey to calm tantrums and meltdowns. What does your adventure look like? Leave a comment or send me an email. I have been getting tons of emails and comments and I have been trying to respond to as many as I can. I would love to hear from you. Did you miss Video One and Video Two? Be sure to watch them and download the free resources! WOW! You worked so hard on this – amazing. THis is one of the most thoughtful and thorough tools I have seen out there – and I have looked. Thank you so much! That means so so much to me! Thank you!